This topic is more psychological than physical. It is more reflective and makes you go deep in you. It may raise some "alchemic" problems... Good chat ! 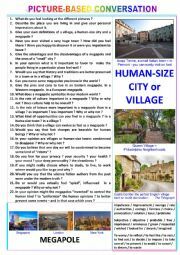 Picture-based conversation - topic 116 : village & human-size town vs megapole. 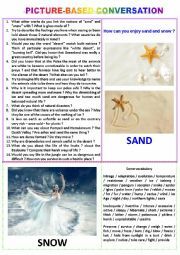 This 19th topic deals with 2 important natural elements : sand and snow. What do you know about them ? Are men doing all to break the natural balance of our familiar landscapes ? Are we doing all to turn our earth into a big beige and white desert ? Several questions and a word bank. Good work. Picture-based conversation - Topic 82 : immigration vs emigration. 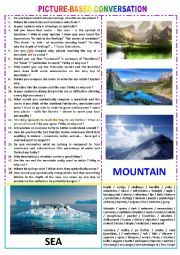 This new topic for conversation and oral examination is about migration. The reasons to flee the native country and the deceiving dreams. Go further in history with your students reading 2 more aricles I have added. Good work. Thanks for that excellent idea of picture-based activity. 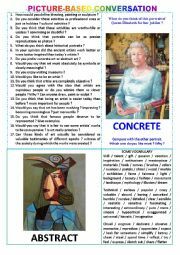 Here is a 1st one for adults : concrete art vs abstract art. 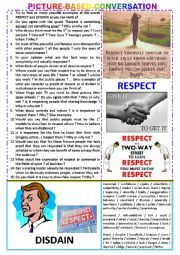 Several questions to express one´s opinion and a word bank to help. Good fun ! 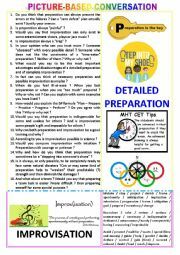 Picture-based conversation : topic 10 - writing vs keyboard. Here is a new topic to discuss about. Will you take your stylus to use with your iPod or your pen to personalize your birthday postcard ? 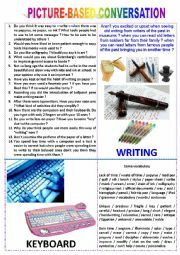 Have you lost the habit of writing and is your writing still readable ? Compare the advantages and disadvantages of pen + paper and keyboard + screen. Several questions + a word bank. Good fun ! 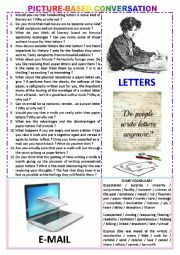 Here is my 100th topic : handwritten letters vs electronic messages. Can you be true with words on papers or through a screen ? Can you better hide your secrets if they are written on paper sheets or on hardware ? 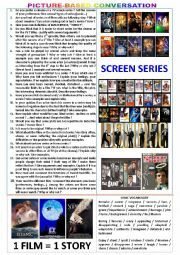 Some more photos to comment and an interesting article (literary and famous letters) to discuss about. Good chat and sharing of ideas !